What is a digital marketing funnel exactly? How can it be used to bring in more sales this Christmas? We have the answers in our latest post. Being the owner of an e-commerce website at Christmas can be downright ho-ho-horrible. With so much competition out there from rival business owners, how do you stand out from the crowd? With a comprehensive marketing strategy in place you can dominate the search results to ensure customers find you, first. First things first, you should devise the perfect digital marketing funnel that considers your customers buying journey. So, what is a digital marketing funnel? There are three main stages to a digital marketing sales funnel: Attract, Convert and Re-engage. To create the most successful digital marketing conversion funnel, then you should focus on the entire sales process as a whole. To get you started, we’ve mapped out the sales process using these three simple steps. This stage is essential as without it no one knows your brand exists. It also means that come Christmas Day, no one will be excitedly unwrapping your products and posting about it on social media. You need to provide engaging and informative content marketing that stands out above the rest. 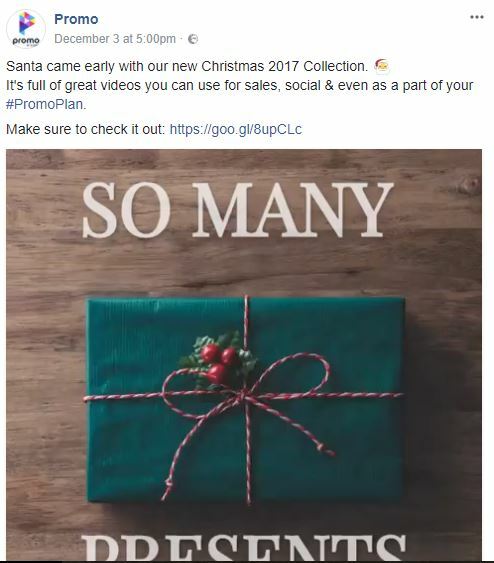 Try out some seasonal social media marketing with festive messages targeted at those interested in your products. You won’t get far with your Christmas campaigns if you don’t create bespoke targeting. This helps you convert visitors based on interests, demographics and search history. To collect this data you need to start tracking the activity on your website, as well as social media channels. Use this data to create lookalike audiences that target people who resemble your existing customers. So many people concentrate on retargeting at this early stage (stage 3). Get your targeting nailed on first to ensure you aren’t wasting time or money on people who won’t purchase from your site. We spoke about how to improve e-commerce conversion rate in a previous post. Getting this right is what earns you sales and ultimately keeps your business afloat. It is at this stage that you want to really push your Christmas sales with messages, such as “Only X days until Christmas!! Buy NOW” or “Limited stock. Buy to avoid disappointment.” This is the final part of the funnel and is the most lucrative so it’s important to put a big part of your time into generating conversions. At this stage of the digital marketing funnel, email marketing and remarketing will be your saving grace. Dynamic product ads (DPA) create a carousel ad that shows potential customers products they have previously viewed. This is especially useful at this time of year when shoppers are comparing prices across different sites and may be looking to return at a later date. Keep your website at the front of their mind at all times. Email marketing is an effective way of targeting your customers directly with an email landing in their inbox (…or junk if you’re not careful!) While it can be difficult to cut through the noise, 80% of business owners indicate that email marketing is their biggest driver of customer retention. One crucial thing to remember? A subject line packs a punch! It should include catchy content that drives the reader to click through. A tempting offer too good to pass up, new product launch, holiday emoji or shock statement are all strong contenders. Don’t neglect loyal customers. Do you have a new product, discount or a particular message you want to communicate? Capitilise on the people who have already expressed in interest in your products. They recognise your brand, understand the sales process and are satisfied with your level of service. These are the ones you want to send separate remarketing messages to with holiday sales. Get in touch with our digital experts to see how your website can use retail sales data to start earning sales online. Don’t forget to return to our Christmas marketing tips page for more of the same professional advice from our SEO team.